Today, AVA announce additional names to their free London Printworks conference programme on Friday 15th March. The conference will offer an insight into the music and arts industry from artists, agents, labels and innovators. Bicep, Octave One, Abbey Road Studios, London’s Night Czar Amy Lamé, Resident Advisor, Ninja Tune, Artwork and more will form line up of panels, workshops and keynotes alongside some of the industries most notable names and brands. 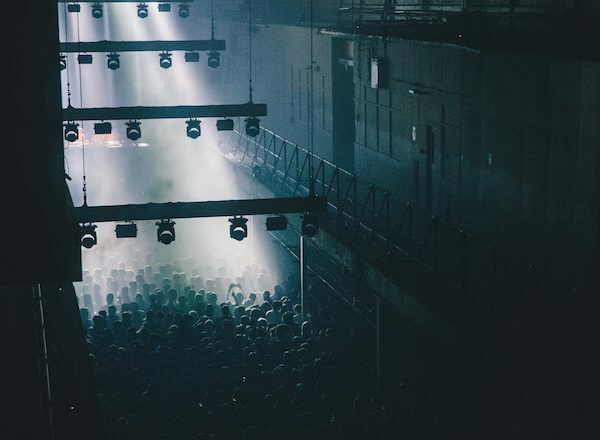 Split between a free daytime conference at one of London’s most exciting venues Printworks, and a ticketed club show with Mall Grab, Hunee, Joy Orbison, San Proper and more for their return to London, 2019’s edition will be the biggest yet. 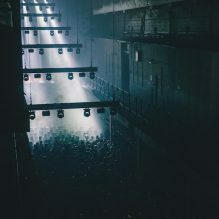 Returning to Printworks after a sell out string of live shows last year is two of Belfast’s most notable producers and DJs Bicep for an extremely rare Keynote with the The Irish Times’ Seamus O’Reilly. Expect an in depth insight from the creation of their hugely successful debut album, from concept all the way through to the artwork, and how they translated this into a live international touring show and beyond. London’s Night Czar Amy Lamé will give a comprehensive discussion on how she moves the conversation forward around the night time economy with journalist and host Lauren Martin. They will discuss the progression of her role and the impact it has on the capitals music industry. With the changing club & license landscape, this lecture is essential for those keen to hear how London is evolving. Longstanding institutional recording studio Abbey Road will join the programme of events as they examine how the world’s first purpose built recording studio is continuing to innovate production in 2019. The studio team will look into the historical recording process timeline and how technology has advanced over this period, and what to expect for the future. Joining the Bicep lads as the closing keynote of the day is Detroit techno trailblazers Octave One. The brothers who burst into the scene in the 90’s have since paved the way with their 2000 hit single “Blackwater” selling one million records worldwide. Their keynote will give a clear look into how they have developed as artists over the decades and how the scene has changed as well as discussing their new AV show. Standing at the front of the royalties and sync industry PRS for music will also join the lineup focusing around the topic of artist development. From labels and publishers to collection societies to managers and booking agents, the panel will discuss the different people and organisations aspiring musicians need to work with experts from Warp Records, Ninja Tune and booking agency Coda. Elsewhere, Smirnoff’s Equalising Music campaign that is committed to pushing the conversation on equality in music forward invite genre spanning DJ and Irish native Saoirse, long term London based DJ Artwork to sit down talking techniques, selecting and wellbeing on tour. Key players in the distribution industry Believe will sit down with London based label with a worldwide sound Brownswood and staple dance music label R&S Records in a roundtable discussion focussed on the ‘Role of Record Labels in 2019’. They will examine the current industry climate, its future and how to stay relevant with so many competitors. Publishing and Sync experts Sentric Electronic will also head to Printworks opening up the conversation with established producers on the impact that publishing royalties have had on their careers. They will examine what publishing royalties have allowed them to achieve what’s next for publishing and the electronic music community. London is one of the busiest production centres in the world for the film, television, gaming and advertising industries. Artist Gaika, and Industry experts from from Netflix, Adidas and the BBC will host a scoring panel looking into commissioning for TV, Film and Commercials from both artists and composers and tips for making it in the industry in London. Having debuted at International Music Summit Malta in 2018, the market-leading promo delivery platform Inflyte will bring their ‘Inflyte Promo Clinic‘, where the team will be on-hand offering 1-2-1 advice and guidance to independent record labels and artists on all aspects of music promotion and marketing. Tech enthusiasts, DJs, Producers, Music Industry Specialists & Visual Artists take note, this year AVA is hosting a Drop In area, and is the perfect opportunity to get up close and personal with some of the most forward thinking companies as well as get 1-to-1 access with some affiliates of the best tech brands including London Modular, Abbey Road Waves, Inflyte, 19 Mil, Perc, Vochlea, Qrates, COTODAMA and Believe. That’s not all though, as the night comes Printworks will turn the conference space back to what it’s known best for and will invite an all star lineup of DJs for the AVA London club show. They will welcome Australia’s answer to house music and long term AVA friend Mall Grab, soulful house and DJ Hunee and pillar to the UK’s underground electronic community Joy Orbison. They will be joined by Amsterdam’s De School resident Job Jobse, Hotflush signee Or:la, undeniable staple in the Amsterdam music scene San Proper alongside Irish natives Brame and Hamo, Swoose, Cromby, Mount Palomar and Mount Kitt.